Wisconsin veteran wants the VA to recognize his Gulf War service caused cancer. His doctor says his cancer is likely caused by what he was exposed to in the war. The U.S. government won't extend benefits. MARSHFIELD - Rodney Kerksieck's Gulf War was short: January through March in 1991. During those three months, he fired thousands of 200-pound shells from an 8-inch howitzer as a gunner for the U.S. Army. His unit supported Marine infantry as the Americans faced off against Saddam Hussein's army, including the infamous Republican Guards. They were an intense, dirty and violent three months. Shortly after the Gulf War, the Spencer native left the regular Army but re-joined the National Guard, and he and his wife, Billee, and their children moved back home to central Wisconsin. When he retired in 2004 as a staff sergeant, he thought he had left the war behind. Today, Kerksieck is gaunt and tired, in another fight for his life. He was diagnosed with colon cancer in 2015, and Kerksieck and his oncologist at Marshfield Clinic both believe the disease is a direct result from his service in Iraq. In addition to fighting the disease, Kerksieck is locked in a bureaucratic battle with the Department of Veterans Affairs, the agency which oversees the benefits veterans receive. Kerksieck wants to be classified as disabled because of the disease and his service in Iraq. If he is, he is entitled to about $1,200 a month plus other benefits. If he should die, those benefits, which also include health insurance, will transfer to Billee. Kerksieck's condition is dire. Since his diagnosis in 2015, he's undergone traditional treatments such a surgery, radiation and chemotherapy. Those efforts have done little to stop the cancer's spread. The disease is entrenched throughout his upper body. A few weeks ago, Kerksieck was accepted to be part of a clinical study through the University of Wisconsin Carbone Cancer Center. He's now receiving cutting-edge immunotherapy treatments designed to marshal the body's own immune system to kill off the cancerous cells. He and his medical team can't be sure it will work, but he's hoping for a miracle. Getting disability benefits tied to the Gulf War is a long shot, too. It's up to Kerksieck to prove that his cancer is a result of his war service. So far his attempts have been denied, despite the support of his oncologist and commanding officers he served under in Iraq. Kerksieck wants to share his story. Maybe if enough vets come forward and talk about their health problems, he said, it will be easier for veterans to get the care and support they need in the future. "They've (the government) got to realize that they've got to step up to the table and take care of us," Kerksieck said. "Because we're dying fast and it's terrible." As Rod Kerksieck grew up in Spencer, he was always interested in the military. He joined the National Guard in 1984 when he was 17 years old. 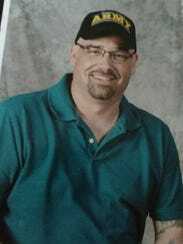 The 1985 graduate of Spencer High School went off to basic training the summer after he received his high school diploma. It didn't take him long to realize he wanted to make a career out of the military. "I knew it positively after basic training," the 50-year-old Gulf War veteran said. "I got a taste of it, and I liked it." For the teen-aged Kerksieck, the Army offered a lot: discipline, reward for hard work, a chance to fire the largest, most sophisticated weapons in the world. Plus, being a U.S. Army soldier felt good: Even as a teen, Kerksieck felt a love of country and a call to serve it. When he got his papers in 1990 calling his unit to the Middle East as the Americans and coalition forces were building up to push, Kerksieck and Billee were living in Washington State near Fort Lewis, where he was based. They had two children: Stephanie, who was about 3 years old, and their son Eric, who had been born just a few months before. The Army gave Kerksieck 72 hours to get his affairs in order and be on a plane to war. He and his fellow soldiers flew out of McChord Air Force Base in Washington on a 747. They landed on a hastily built airfield somewhere in the desert in the northern part of Iraq, he said. Kerksieck and the others were "fully geared up" for that landing, including holding their M16 rifles and wearing equipment designed to protect them in case of a poison attack. 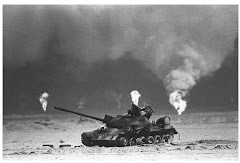 The Gulf War started after Iraq invaded Kuwait in August 1990. When diplomatic efforts failed, the United States and a coalition of 34 other countries banded together to push the Iraqis out of Kuwait. Once equipment and soldiers were ready for battle, Kerksieck's unit manned a massive howitzer cannon — 8 inches being the bore size of the gun. The gun's mission was to provide artillery support to Marine infantrymen. That included decimating Iraqi villages. "We'd blow up everything," Kerksieck said. "I mean, if there was one wall standing, we'd blow it up. We completely leveled these places." He estimates he fired 3,000 to 4,000 rounds, and he slept in a foxhole next to the howitzer. As Iraqi forces pulled away from the oil fields that peppered the northern region of Iraq, they set them on fire. Petroleum muck rained down on Kerksieck and the other Americans, and he constantly was breathing in the smoke. At the end of the days, he'd have to wash the oil off his skin. The American soldiers also burnt their own debris in burning pits, including human waste, with fires started with diesel fuel. "We didn't wear no protection at all," Kerksieck said. "It was an every day, two-, three-times-a-day thing." As quickly as it began, it was over. The howitzer was sold to the Saudi military, he said. He and the men with whom he served were given new uniforms "so we would look good when we got back to the world," Kerksieck said. They got on another jet airliner, and then they were home. 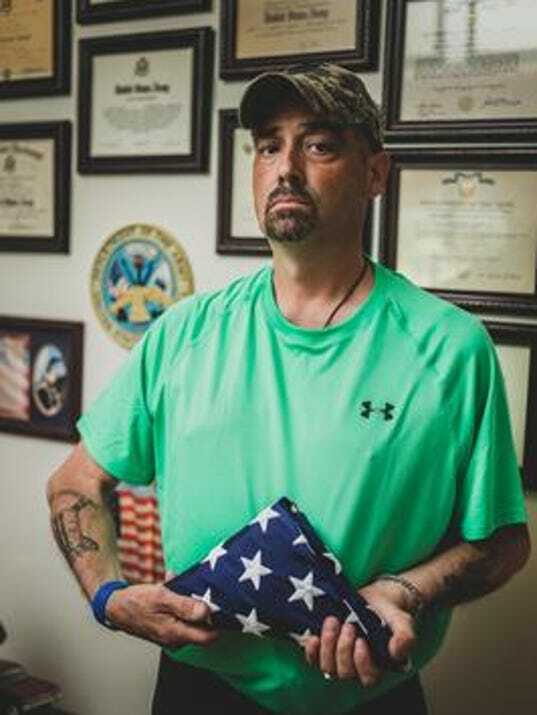 The system is stacked against Kerksieck and many other Gulf War veterans who try to collect disability payments related to the illnesses they've suffered in the wake of their war service. 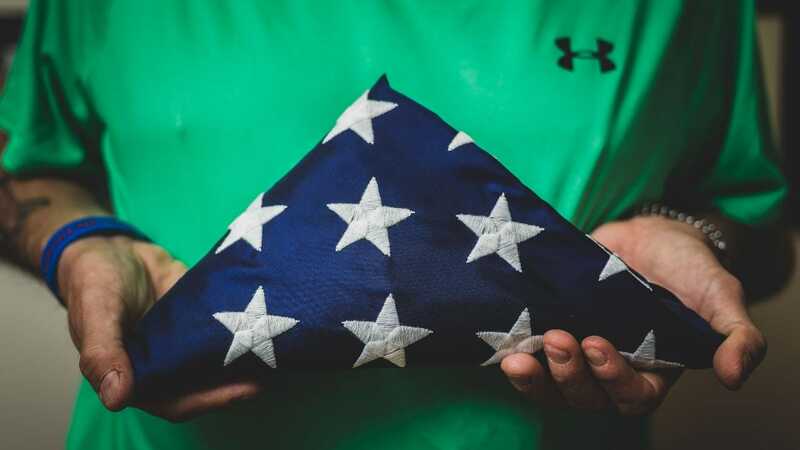 In many ways, the rules and regulations of the VA, which works under the laws set by Congress, set up an adversarial relationship between the federal agency and the veterans it's charged to serve. For some veterans suffering from certain illnesses, the process is simplified, said Rock Larson, the veterans service officer for Wood County. Larson's job is to help veterans negotiate through the Department of Veterans Affairs to get the benefits they deserve. He doesn't work for the VA, but he knows how the agency works. The VA has classified some diseases as "presumptive." That means that if a veteran contracts that particular disease, it's presumed that his or her time in the service likely caused it. That streamlines the process to determine if disability benefits will be granted. Among presumptive diseases for Gulf War veterans are West Nile virus and a group of ailments commonly known as Gulf War Illness. Colon cancer is not on that list of Gulf War presumptive illnesses. 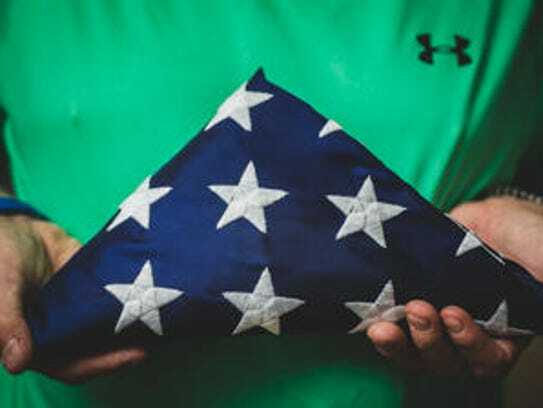 According to a VA spokesman, the reason some illnesses are not presumptive is that "medical science, which forms the basis of the laws, regulations and policies, has not found adequate evidence that the claimed disability is more likely than not connected" to veterans' service. That means the burden falls to veterans to prove their nonpresumptive illnesses are service-related. The system leaves veterans such as Kerksieck battling for disability compensation often at the time when they are struggling the most with their disabilities. The onus falls on veterans because "that is the way the law is written," according to the VA spokesman. "If you have questions regarding the laws governing VA disability compensation, we would refer you to Congress." A 2008 study by the VA Research Advisory Committee on Gulf War Veterans' Illnesses estimates that related health complications affect "at least one fourth of the 697,000 U.S. veterans who served" in the 1990-1991 war. A more recent report from The National Academies of Sciences, Engineering and Medicine concluded that Gulf War veterans "appear to have an increased risk for Gulf War illness, chronic fatigue syndrome, functional gastrointestinal conditions and mental health disorders." 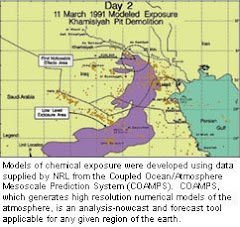 That study, completed in February 2016, was designed to pay particular to neurological disorders, cancer and Gulf War illness. It did not specifically mention colon cancer. In 2014, the VA rejected a request from members of Congress and veterans advocatesto make brain cancer, lung cancer and migraines presumptive conditions for Gulf War veterans. VA officials at that time said they could not prove that the high rate of the illnesses among Gulf War vets were related to their service. James Bunker is the executive director of the National Gulf War Resource Center, a Topeka, Kansas-based nonprofit that works to help Gulf War veterans better understand the health issues they face and help them gain VA benefits. Bunker also served as an artilleryman in Iraq; he's been classified as 100 percent disabled after experiencing a variety of debilitating symptoms including headaches, cramps and convulsions. He got those ailments after a massive Iraqi ammo dump was blown up, not far from where he was at. Bunker knows the environment in which Kerksieck and other veterans fought their war. They all were exposed to a wide variety of toxins. "He was exposed to a lot of oil well particulates," Bunker said. "We were drenched in oil. We inhaled oil into our lungs. It soaked into our skin. It got into our food; we were eating it." Crude oil is steeped in benzine, which is known to "cause a wide variety of cancers," Bunker said. "But this is complicated and hard to prove." It was a strange experience, being back from the war, Kerksieck said. Post-traumatic stress disorder wasn't receiving the attention it does now, and he's not sure if he had PTSD. But he was haunted by the visions of the killing. And he worked his way through the stress by "drinking too much," Kerksieck said. With Billee's help, and knowing he had children to support, Kerksieck got through it. He went back to the National Guard to finish out his 20 years. After retiring from the military, he kept working. He's had a variety of jobs, but "mostly I was a truck driver," he said. Around 2005 he noticed chunks of his hair falling out, from his legs and arms and head. "It would just fall out," Kerksieck said. "For no reason. I'd be standing in the shower, and chunks would just fall off of me." Medical tests done through Veteran's Affairs in Tomah and Madison failed to find a cause, Kerksieck said. He still doesn't know. He just shrugged it off as one of those things and carried on with his life. The stomach pain that led to the cancer diagnosis was on another level altogether. He could not shrug that off. "At first they thought it was diverticulitis (caused by an infection)," Kerksieck said. Eventually he underwent surgery. "They took a foot of my colon out," he said. "Two weeks later, I get a phone call from my doctor and he told me it was malignant and it was cancer." For the past two years, Kerksieck has undergone rounds of chemotherapy and other treatments. His weight has plummeted from a strong 211 pounds to 165 pounds. The cancer has spread throughout his body, including his lungs. "Physically, I'm drained right now. I'm in survival mode," he said. He's happy the Carbone Cancer Center accepted him for the study. Even if the treatment is unsuccessful, researchers will be able to learn from his ordeal. But he said, "I've got high hopes. I want my year. That's where my thoughts are right now." Bunker, of the National Gulf War Resource Center, said the VA is infamous for declining the Gulf War veterans' disability claims. "I don't know why," Bunker said. "It's just an attitude toward Gulf War vets. ... (The VA) refuses to grant those claims." That's not just his opinion. The U.S. Government Accountability Office released a study about the VA's response to Gulf War Illness. It found that despite estimates that 44 percent of Gulf War veterans have the medical issues associated with that war, approval rates for Gulf War illness disabilities "were about three times lower than for all other claimed disabilities," the report said. The review also found that the "VA's ability to accurately process GWI claims is hampered by inadequate training, and its decision letters for denied claims do not communicate key information." In cases such as Kerksieck's colon cancer, the chances of getting the disability allowance are even less. Kerksieck knows of one soldier who has late-stage colon cancer who is in hospice. 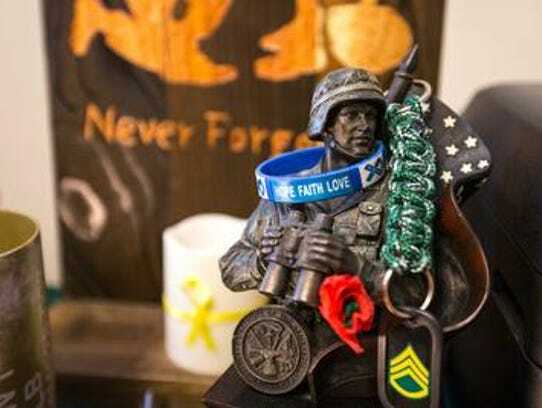 In Wausau, a younger National Guard veteran who was deployed in the post 9/11 Iraq War is putting his life back together after a couple of years of fighting colon cancer. Ryan Shilts, 30, served in Iraq guarding prisoners of war in a detainment facility as a National Guardsman. That service did not expose him to oil as it did Kerksieck, but like Kerksieck, Shilts breathed in fumes from "burning pits." The trash from American soldiers and prisoners were burnt in an area as long as a football field and a few meters wide, Shilts said. It was always burning. Some days the smoke would waft away from the Americans, other days it "was like walking through campfire smoke, all day long." Shilts doesn't know if that exposure to toxins caused his cancer. "I'm sure it didn't help," he said. His parents have urged him to file paperwork about his disease to seek disability status. But he knows the odds are against him. He's been through three rounds of cancer treatments that included surgery and radiation and chemo therapies. His scans have been clear, and he's feeling good. He doesn't want to go through the hassle he knows would be ahead if he tried to claim disability. "I guess I'm just too lazy to do it," he said. Kerksieck is focused on working all the angles of the process. He hopes for a positive outcome, because it would give him peace of mind for Billee, his wife. They've been married for 31 years, and she's supported and stood by him through it all. "She's been as much of a soldier as I have been," Kerksieck said. For a while, Kerksieck was getting his insurance through the health care package Billee received from her job at Grassland Dairy Products, the dairy food processor. But she took a leave of absence to care for Kerksieck months ago. The time due her through the federal Family Medical Leave Act ran out, and she was let go, she said. Billee is now without health insurance and Kerksieck's care comes from the coverage he receives as a veteran. But if he were to gain disability status, he and Billee would receive about $1,200 a month, and as Kerksieck's spouse, she would receive health insurance, too. Knowing that Billee would be cared for "would give me such peace of mind," Kerksieck said. That notion motivates him to survive, he said. Even if his efforts to get his disability status don't pan out, he doesn't regret trying. Maybe his efforts will move the system forward for veterans' benefit — and make it easier for others to get placed on disability in the future. Through it all, Kerksieck remains loyal to the United States and the Army. Even knowing what he knows now, he said he would join again if he had the chance. "I'm not mad," Kerksieck said. "I just hope that they can learn from this. I don't want another person to go through the living hell what I've gone through."